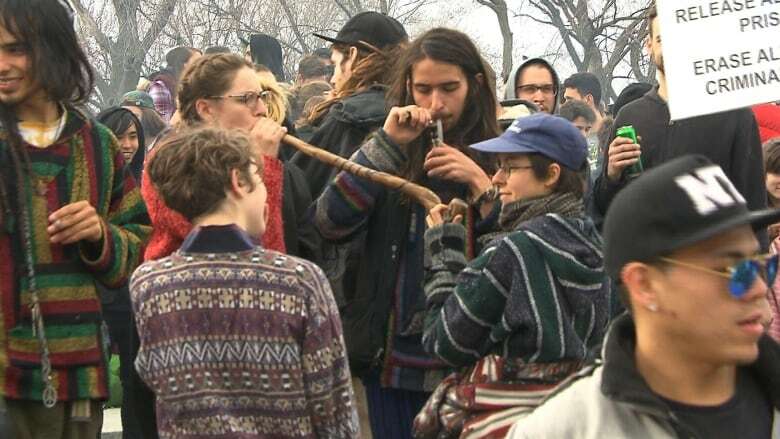 One would think the province known for its joie de vivre and laissez-faire attitudes would have the most lenient stance toward the legalization of pot. But a recent CROP survey done for Radio-Canada shows the opposite is true. "We assume Quebec is focused on pleasure and joie de vivre — that they would be tolerant about cannabis," he said. When it came to the potential positive effects of legalization, Quebecers simply didn't see any: Asked about quality control, more government revenue, less stress on the justice system, reduction in organized crime — Quebecers took a dim view to all of them. There was some disagreement from the poll's respondents on what kind of business should sell pot. More Quebecers said current state-owned retailers, such as the SAQ, should be the designated sellers. In the rest of the country, pharmacies were the favoured points of sale. Fewer Quebecers were okay with pot being sold in their neighbourhoods: 31 per cent compared to 39 per cent of respondents elsewhere in the country. The spread was even bigger when it came to products derived from cannabis, such as edibles: 27 percent in Quebec are in favour of seeing them sold, versus 40 per cent in the rest of Canada. But all Canadians seemed to agree on a few questions. For instance, they believe legalization wouldn't have much effect on whether parents let their kids experiment with pot. Also, Canadians of all stripes agreed that receipts from marijuana taxes should be used to finance the health system, pay off the national debt and fund addiction programs.